Have a feast for the senses, join the unending discussion about love, and more. 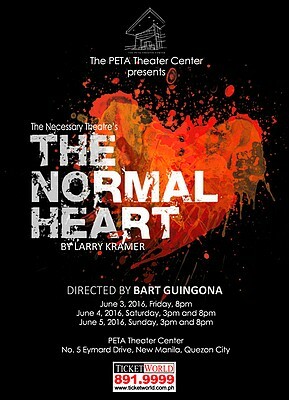 Larry Kramer's The Normal Heart returns to the stage for a weekend, from June 3 to 5, at the PETA Theater Center. The highly-accliamed play follows the story of Ned Weeks, a passionate writer in New York in the early 1980s, as he rallies for recognition and cure of an epidemic that was plaguing his community. The play was first staged off Broadway back in 1985 and opened in Broadway in 2011, receiving numerous Tony Awards, including "Best Revival of a Play." Tickets are priced at P633, P1,013, P1,314, and P1,577. 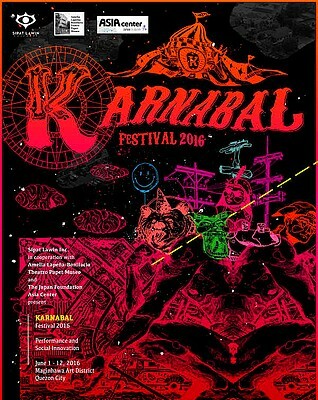 Karnabal Festival 2016 will run from June 1 to 12 at the Maginhawa Art District. Karnabal Festival is set to engage participating local and international artists with their audiences through different platforms for performances, dialogues, training programs, and exhibitions. 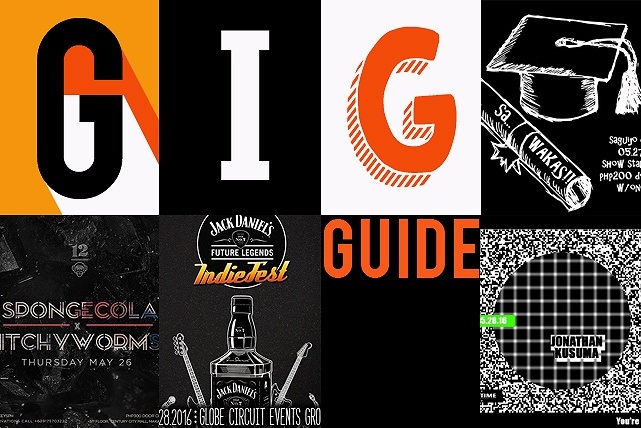 The two-week multi-site festival will take place in houses, theaters, restaurants, and other spaces at the Maginhawa Art District in Quezon City, with more than 200 artists. For more information, go to Karnabal Festival's website. 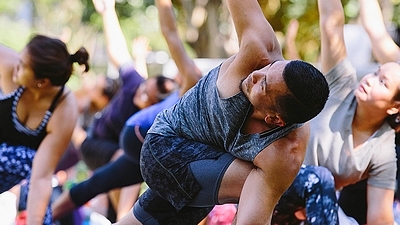 Yogis all over the metro are invited to bring the practice outdoors at Urban Ashram's Yoga in the Park at Capitol Commons on all Fridays of June. This is perfect for those who want to get into yoga or destress after a long week. Practice is free! You may bring your own mat or rent one at the venue for P50. Spend a healthy Friday night out in the park! 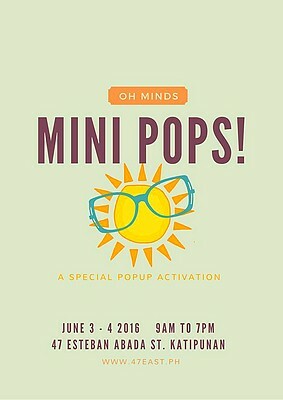 47 East invites everyone to be part of Mini Pops!, a two-day pop-up bazaar on June 3 and 4, happening along Esteban Abada. Expect good food, trendy clothes, live music, a calligraphy workshop by Imma Frias and many more! Patissyrie, Cookie Snaps by Twades, and more will be showcasing their sweetest treats, while Trinkets for Keeps, Klaypop, and Banonay, among others, will be selling their quirky trinkets. 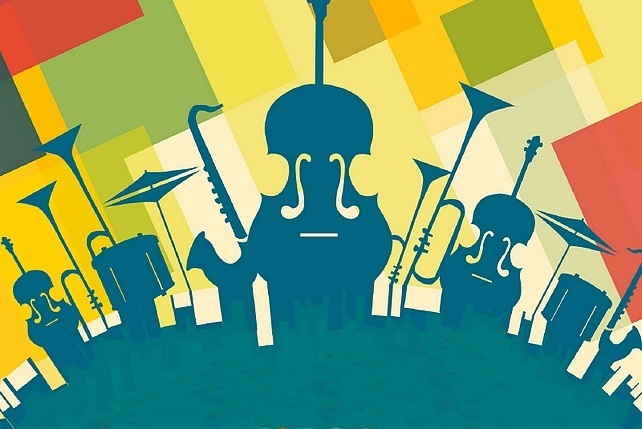 Love jazz music? Then, you're in for a treat! 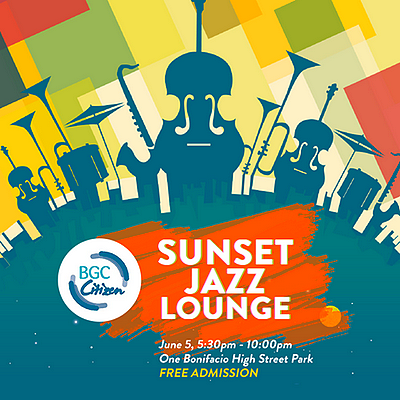 Sunset Jazz Lounge is happening at One Bonifacio High Street Park on June 5, 5:30 p.m.! Round up the gang and have a night of food, drinks, live art, and jazz and blues performances by Hoochie Coochie Mikkie, Extrapolation, and SINOSIKAT? Discover up-and-coming offerings from Samba and Pink’s Hot Dogs; grab some grub from Maisen, Brotzeit, Planet Grapes, and High Street Café; and sate your sweet tooth with Toby’s Estate. Don’t miss street artist Rai Cruz and his own interpretation of the night through a live art mural before it’s gone! Instituto Cervantes will be hosting its Spanish Thrillers film cycle on all Saturdays of June at FDCP Cinematheque. First in the line-up is Tesis, a disturbing thriller about the depiction of violence by the media, which will be shown on June 4. It will be followed by La caja 507, a gripping thriller with a social message; No habrá paz para los malvados, a story of a cop who turned into an angry and alcoholic loner; and Mientras duermes, which follows the story of doorman Cesar. Admission is free, on a first-come-first-served basis. For more information, log on to Instituto Cervantes' Facebook page. 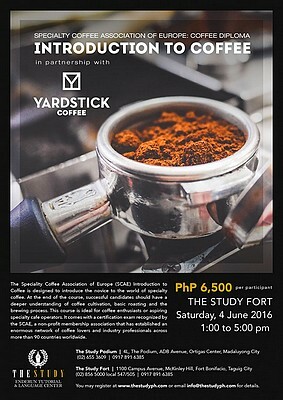 Learn more about your favorite pick-me-up at Enderun Extension's Introduction to Coffee class on June 4, 1 p.m., at The Study Fort. The class is designed to introduce the novice to the world of specialty coffee. At the end of the course, successful candidates are expected to have a deeper understanding of coffee cultivation, basic roasting, and the brewing process. This course is ideal for coffee enthusiasts or aspiring specialty cafe operators. The workshop fee is P6,500. 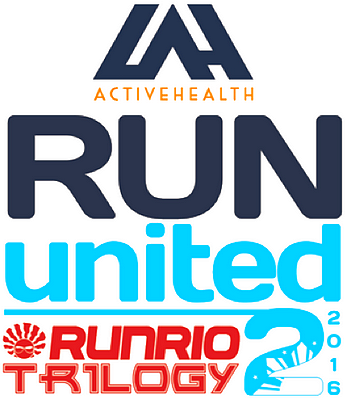 For registration details, go to Enderun Extension's website. 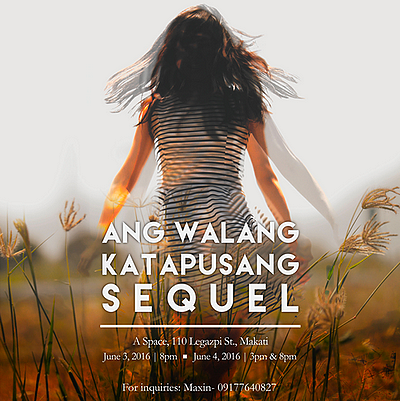 Discover the story of Ang Walang Katapusang Sequel, showing at A SPACE on June 3 and 4, 3 p.m. and 8 p.m. The production explores and the unending discussion about love, relationships, and everything in between through the form of stage play, poetry, and music. Tickets are priced at P250. For more information, visit Antrosininglaya Theatre Company's Facebook page. 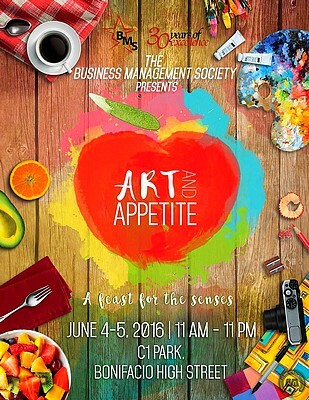 Feed your sense of taste and sight and enjoy the best of culinary and contemporary art in Art and Appetite on June 4 and 5, 11 a.m., at the C1 Park in Bonifacio High Street. Don't miss this exciting fair that combines art and the appreciation of good food into one big event. Have a different gastronomic experience and a new perspective for art.